Virtualization and Cloud Storage Technologies provide a big set of features. If storage technologies are used correctly, astonishing performance boost can be achieved. Disk systems are no longer silly stack of plates. Instead, in recent years there were numerous useful functions to enhance the efficiency of the storage systems. It was also necessary for many users in a server environment using virtualization technology to get such technology offered to consumer level. The benefits of virtualization also should be provisioned to power the backend of the IT environment. This is chiefly composed of an efficient storage and network infrastructure. But what do with the individual features of the storage systems ? In this article, an overview of what storage virtualization, thin provisioning and other technologies are really useful. Actually, storage virtualization is old and not really anything new. The abstraction of complex systems to the user has already been introduced in 1989. However, it took more than 20 years, until the producers agreed on what is actually meant by virtualization and what products they can offer commercially. Storage virtualization provides the ability to blur the boundaries of physical memory and various storage units, such as hard drives or entire storage systems, assembling in a storage pool. This pool can be managed centrally and the resources can be better distributed and used. Some vendors also integrate external memory and third-party systems. In such a storage pool, making the consolidation of the storage environment more efficiently is the art. This includes, among other things, the Hitachi unified storage VM to HDS . For each application, server or user virtualization is in a transparent layer that does not affect the existing storage’s performance. Of virtualization on storage, management is performed directly on the surface of the array. 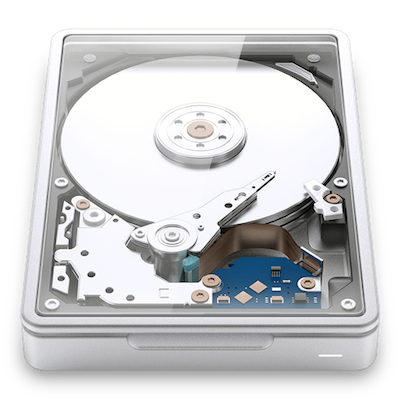 Storage devices, that use more than one hard disk drive technology, can be utilized efficiently. Now storage is divided into smaller segments (chunks), which can be distributed in the backend. This allows only the power-hungry data actually lie on the fast SSD, FC or SAS drives, while the largest, with little or no unused portion is held on SATA disks. The smaller the sections, the finer the data can be distributed in the backend. The shorter the time intervals of the seeking, better the system adapts to the current circumstances. This Article Has Been Shared 3323 Times! Cite this article as: Abhishek Ghosh, "Virtualization and Cloud Storage : Technologies That Can Be of Benefit," in The Customize Windows, February 14, 2013, April 23, 2019, https://thecustomizewindows.com/2013/02/virtualization-and-cloud-storage-technologies-that-can-be-of-benefit/.